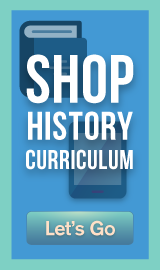 Find Your Homeschool Curriculum - Join 237,808 Families! The Co-op welcomes success stories that will help other homeschooling parents decide whether to add Thinkwell Electives to their home school curriculum. If you have used Thinkwell Electives and would like to contribute a testimonial, please click here. ”I purchased Thinkwell-Macroeconomics after much research and deliberation and am very satisfied with my decision. My daughter is a senior in high school and would like to pursue International Affairs in college. Macroeconomics, Microeconomics, and American Government are all courses she will take at University next year and since she was not able to attend a community college this school year, she is hoping to take the AP Exams; we believe that Thinkwell is an excellent way to help prepare her for her college goals. Macroeconomics is a one-semester college-level course and taught by a college professor. She says that his explanations are very clear and his use of graphs and charts greatly aide her in understanding the new concepts. She also finds the notes extremely helpful to prepare for the tests. The daily lesson plans help her to stay organized and move through the material on schedule. Our plan is to use macro and micro as a combined one-year college-level course. She is finding the schedule to cover the material very demanding but, she has no doubt she can accomplish the course as the lectures and lessons plans are clearly laid out. After my initial course purchase I liked Thinkwell courses so much that I purchased American Government, Microeconomics, Physics 1 and Calculus AB. The quality of the teaching and the bios of the professors were the main reasons I settled on Thinkwell as opposed to other online courses. 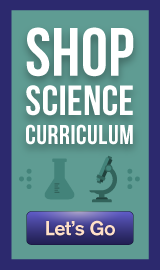 The full price of the course was reasonable compared to other online courses, but with seven children, (two in college, 5 in high school) I couldn't have purchased these courses without the co-op discount. I regret that I did not know about them prior to this year. 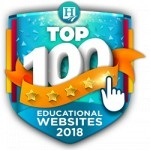 ”Thinkwell is absolutely the best online homeschool resource on the planet! It has totally changed the way we homeschool ...for the better. The teaching is of the highest quality and is also enjoyable to watch. ”I started taking American Government with Thinkwell in September of 2012. The course is really well laid-out. Starting at the reasons for declaring American independance, so far this course has really helped me to expand my knowledge of American government and society. Every clause of each amendment is gone- into in detail with examples of laws working or failing, quotes from writers, politicians, judges, and contemporaries. Local and Supreme court cases and rulings are cited to show how laws have been interpreted by different courts. Congressional laws that have been struck down by the supreme court are very interesting as you can see another side to American politics. Each video is 10-15 minutes long and are easy to follow. A 6 question exercise at the end of each video provides an insight to how well you take in the information. ”Love Thinkwell! We have used Biology, Macroeconomics, and American Government for 2 students and they have done very well with the material. It is wonderful for my son who learns best visually. It has allowed both to be self starters. I never have to get after them to do their Thinkwell. ”My daughter has struggled to find learning enjoyable. We have jumped from program to program trying to find a "good fit" for her. That is how we came to try Thinkwell Government. After only 2 sessions of Thinkwell, she told me it was "awesome, I love it!". She willingly does her work and really enjoys the teacher video portion of the program. ”A dream come true! Sign in and let a college professor do all of the preparation, research and lecturing. We use American Government and find the graphics are incredibly helpful for our student's memory, the sessions are pleasantly brief and do not to overwhelm him. The topic matter is covered at a pleasant pace. The sessions are set up similar to a Power Point presentation on your computer screen and the student can still see the lecturer speak. As the teacher, I click onto the student profile to assess the courses he has completed. I also watch some of the lessons so I can assess comprehension and subject matter with our student. This is our first Thinkwell session and we are looking forward to using it for economics, mathematics and other subjects. It has been a worthwhile investment.